The humanitarian consequences of conflict are seen in the low levels of access to basic services, particularly chronic food insecurity, a lack of access to livelihood opportunities, and increased need for protection. Natural hazards are expected to exacerbate food insecurity and acute malnutrition in the country, particularly for the refugees, asylum seekers, and host communities. In 2018, an estimated 1.2 million refugees and asylum seekers are living in Sudan and in need of humanitarian assistance. This includes over 455,000 South Sudanese refugees already in Sudan, and an estimated 200,000 others expected to arrive in 2018. There are also over 155,000 refugees living in protracted humanitarian situations across five states in eastern Sudan. 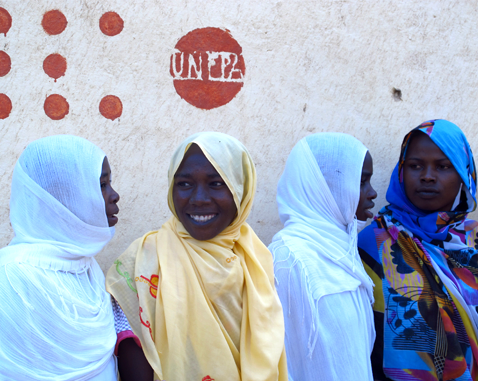 UNFPA is leading the sexual and reproductive health (SRH) working groups in three states in Darfur, integrating SHR humanitarian and development coordination meetings.